Don’t all we fossickers and junk junkies just love a good deal? That unexpected find which we talk about for the rest of our lives? A woman in Virginia has secured the deal of a lifetime for under US$50. The woman, who wishes to remain anonymous, went to a flea market over a year and a half ago. She purchased a box lot that contained a Paul Bunyan doll that she was interested in, but upon inspecting the contents of the box, she realized there was also a painting inside. She noticed that the painting had famous French impressionist artist Pierre Auguste Renoir‘s name on it and a gallery sticker on the back of the frame. She took the painting and its frame in a white plastic bag to the Potomack Company, an auction house based in Alexandria, Va., to see if the painting was authentic. Anne Craner, Potomack’s fine arts specialist and a former research associate at the Metropolitan Museum of Art, said she researched the river scene in the 5.5- x 9-inch picture and became convinced that it was a legitimate Renoir. Craner authenticated the Renoir as the “Paysage Bords de Seine,” a landscape of the famous French river. The national gallery in Washington, D.C., agreed with Craner’s assessment, and the masterpiece will be auctioned off at the end of the month. The painting is estimated to be worth between $75,000 to $100,000 and bears Renoir’s trademark brushstrokes and vibrant colors. 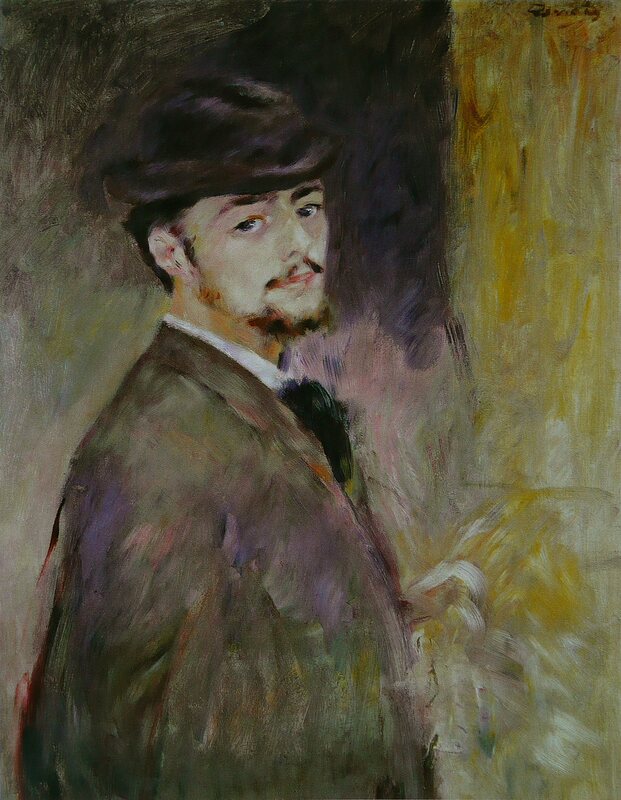 Craner is not sure how the painting made its way to a flea market but was able to look it up in a catalog of Renoir’s work. She concludes that the masterpiece was purchased from the Bernheim-Jeune gallery in France in 1925 and later sold to Herbert May, the husband of a well-known collector in Maryland who donated many works to the Baltimore Museum of Art. So who knows, your next flea market find could turn into your very own pot of gold. Happy hunting! Wellthisiswhatithink collects old soda syphons with metal tops. Why? God knows. Perhaps it’s because when I was a kid my Mum used to drink brandy and soda when she had a migraine – I know, right? – and she would send me to get the soda syphon that was kept on the trolley in the dining room which we never used to make her up a syphon of fizzy, bitter soda water. I would fill the syphon with tap water, get the hard metallic green soda bulb, (they made great grenades to lob at my toy soldiers afterwards), and screw it into the side of the syphon, and when push came to shove and the gas was released, I would simply delight in the rush of bubbles. Perhaps that is why. Who knows the logic of the collector – the obsessionist, the jackdaw. Whatever you like to call it. If you have any you don’t need, I would be more than willing to consider taking them off your hands. I own what seems like dozens of these, secreted all over the house. I actually own this very one. Weird, huh? Uh-huh.